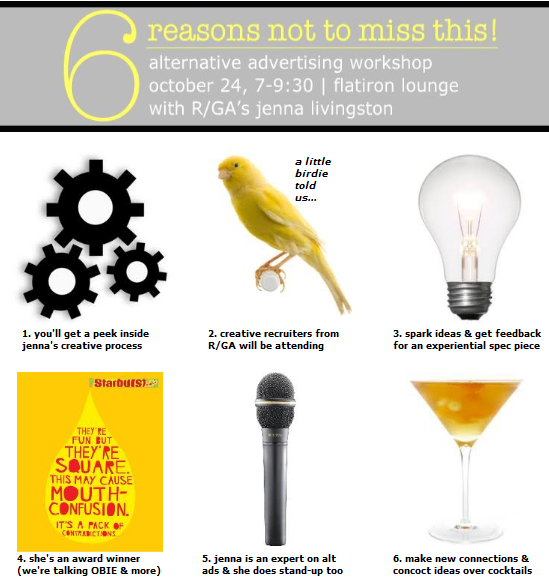 6 reasons not to miss this! This entry was posted in advertising, career advice, job search, networking event and tagged advertising, career advice, creatives, job search, networking, new york city, the copy lab by thecopylab. Bookmark the permalink.